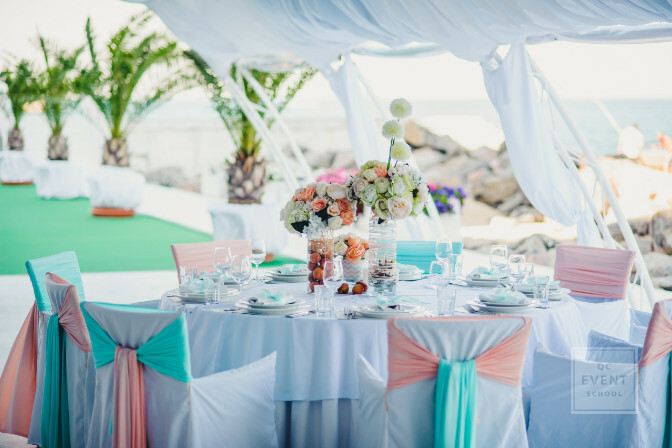 Amira Harris is the owner and destination wedding specialist of Aisle Travel™ based in Calgary, Alberta Canada. 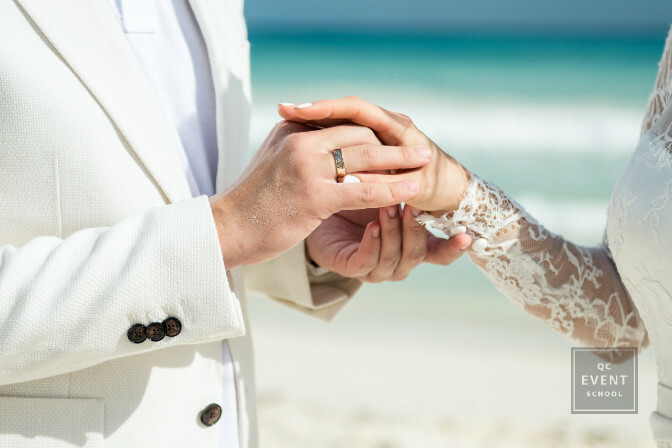 Aisle Travel™ provides Canadian couples with full group travel services, destination wedding planning, and customized wedding group experiences. Working as a wedding planning for the past 13 years requires a lot of sacrifice. It’s a rewarding career filled with to-do lists, long hours and, at the end of the day, a happily married couple. It’s an honor to be a part of the journey, and I’m always grateful for these opportunities. 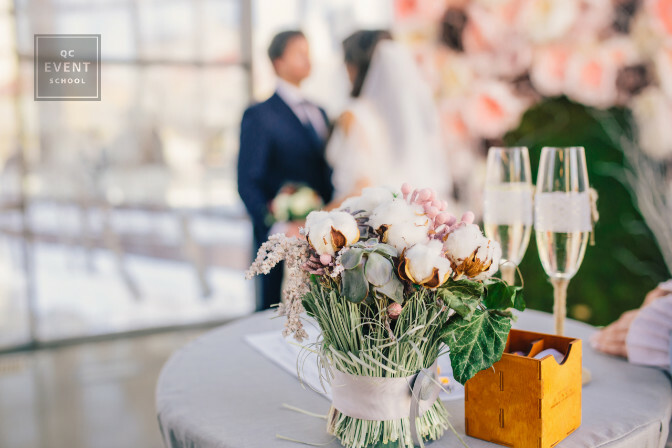 It’s an emotionally intense career and the fulfillment you receive after a well-executed wedding is completely out of this world—there’s nothing like it! For the first few years, I was doing local weddings. But by year 4, I had added destination wedding planning to my services. As a business owner, it’s required that you stay on top of an ever-changing market. Couples were asking to get married away in tropical places, and I needed to deliver that. I thought that the more I offered, the better. I was juggling both and always had variety of different events going at a time so I never lost momentum. It was the perfect career for a Type A personality! But I was working constantly and didn’t have the time to work on other projects. So many things went by the wayside. As an entrepreneur, I needed to re-evaluate what was and wasn’t working. It wasn’t easy managing both and I couldn’t sustain it. I needed to take a hard look at the kind of life and business I wanted. I wanted more flexibility, to work with my ideal client, and to make a decent living. Easy right? I surely didn’t get in the industry to work constantly, non-stop! I knew that in the first few years I would need to put in long hours, always learning and putting myself out there. But I didn’t expect that it never would slow down. I put a lot of pressure on myself to continue a pace that I couldn’t sustain. I realized at that point that I needed to really evaluate my priorities. It wasn’t an easy decision. It certainly wasn’t a decision made overnight. I had thought about it for a few years—yes, years! I knew I couldn’t keep spreading myself so thinly. I’m fortunate enough to have some amazing colleagues, friends and family who always provided me with the advice and insight I needed. The only thing that was holding me back was myself. I wasn’t looking to leave the wedding industry that I loved, but I knew I needed to simplify things. 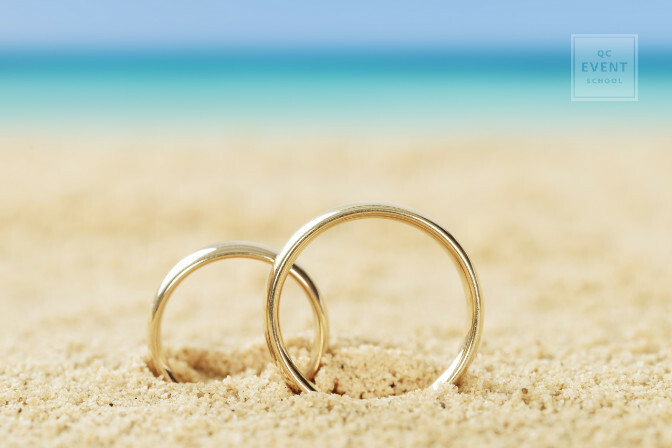 It was no longer possible to do both local and destination weddings. To make my business function at its best, I needed to remind myself why I got into the wedding industry. Don’t ever think you know too much to go back to the basics! Work life balance was my biggest struggle of all. I knew burn out was around the corner. Constantly working was giving me less freedom as it took over my personal life. Putting my client’s needs first and always being available often put everything else at the bottom, including myself. Being so busy with clients gave me little to no time to work on my actual business. These were just a few items from my list, but they were all factors in the decision making process. Accepting the fact that I couldn’t do everything anymore was hard. But learning how to say no and setting realistic goals for my business was what would enable my business to grow. When I finally made the decision to strictly do destination weddings, it was terrifying. I’ve banked many sleepless nights. I worried a lot about the financial toll. I was giving up a service that was essentially half my income, which usually isn’t a good business decision. I had to turn away clients, re-configure everything, and start back at square one. But once I started to put a plan and goals in place, it became easier to come to terms with the decision. I gave myself time to equip myself for the transition. I set up goals and milestones and made sure to always celebrate. It helped me stay focused and remind myself why I started a wedding planning business in the first place. I remembered the first time I ever told someone that I was no longer taking local wedding clients and was only doing destination weddings. A huge weight was lifted off my chest. Something that was so scary was no longer a big deal at all! Now, I have a practical and realistic plan for the future. I work smarter and have stopped making so many sacrifices for my business. I have put many systems in place for to aid with workflow and automation. I’ve also streamlined many planning processes to ensure things always run seamlessly and efficiently. I now spend more time growing my business and working with my ideal clients. I’ve specialized even further in my destination planning services, focusing on romance travel, too. I’ve also had opportunities to educate others on wedding planning and owning and operating a business. It was something I never had time to do before, but now I make time to educate others. I have more freedom and flexibility and, most of all, I feel like I did when I first started in this industry—full of passion, energy and excitement for each day. I feel grateful that I get to do what I love full time and am proud to say that it was our busiest and most profitable year yet. It has been the best decision I could have made. I only wished that I did it sooner. When something doesn’t feel right, it’s sometimes okay to quit or go in a new direction. Letting go of one thing makes room for a new opportunity. It’s okay to let go of what’s not working for you, and it’s okay to make mistakes. Finally, it’s okay to try new things and to take a leap of faith. Inspired by Amira’s story? Invest in your planning career today with an Event and Wedding Planning course!